The holiday house is located in the village of Priseltsi, 12 km from Kamchia and 16 km from Varna located on the main road from Varna - Burgas. The airport of Varna is approximately 25 km away. The holiday house is located in the village of Priseltsi, 12 km from Kamchia and 16 km from Varna located on the main road from Varna - Burgas. The airport of Varna is approximately 25 km away. The house has 5 bedrooms. Four of the bedrooms are furnished with a double bed, and one of them has an extra sofa bed, which can accommodate to two children. There are three bathrooms, one of which has a bathtub. The living room has comfortable sofas, a TV, and a fireplace. The dining room is part of the living room. There is a fully equipped kitchen, a washing machine and a dryer. The garden of the house is constructed on a terraced slope and has a wonderful view over the Stara Planina mountain and the nearby forest, which is part of the Kamchia Reserve. The house is an ideal place to stay during the summer vacation. This beautiful modern villa is made from brick or stone and was recently built in 2012. The agent has rated it as a four star property so it is a well-equipped villa with above average furnishings. It is also great value for money. 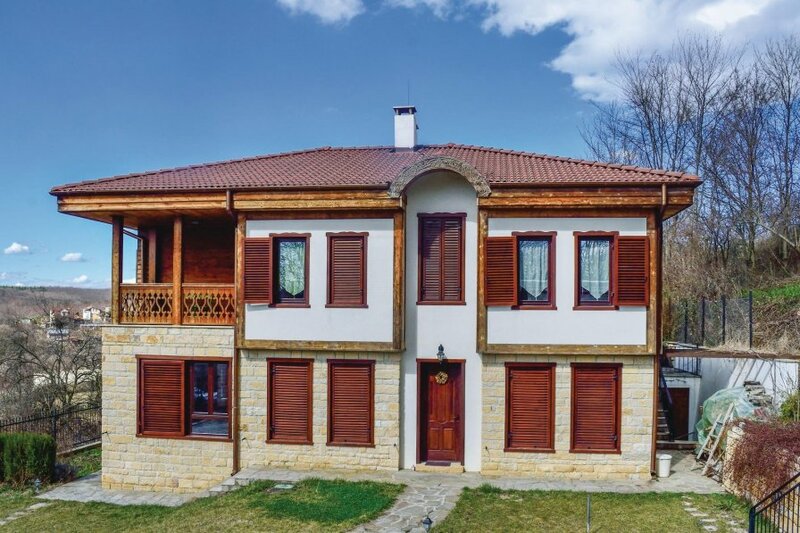 This villa has beautiful panoramic view over water and is located in Priseltsi, only 15km from Varna. The nearest airport is only 25km away. It is set in a good location: there is a restaurant only 500 metres away.